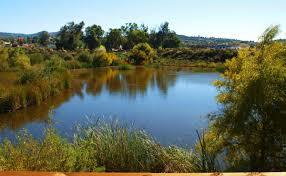 San Diego River Park Foundation River Days party at Julian Hard Cider beginning SUNDAY at 2:30 pm. Live Music from Haywire & Friends this Sunday. Live music goes from 1-4pm every Sunday, year round and seasonally on Saturdays. Mr. Manitas Organic TACO BAR will be serving BBQ street tacos, amazing nachos, quesadillas, Apple Tacos, smoothies, acai bowls, fresas con crema and more! Tasting Rooms: Hard Cider at Julian Hard Cider, Local Wines and Chocolates at Julian Wine & Chocolate, Beer at The Cooler and Mead at Golden Coast Mead. Shopping at Ariel's Attic, Cowboy Rendezvous, Mini & Me Boutique, The Crazy Raccoon and Yogi Picnic Baskets.